Faith formation for families is often focused on just the children, but parishes have a huge opportunity to include parents in the process. 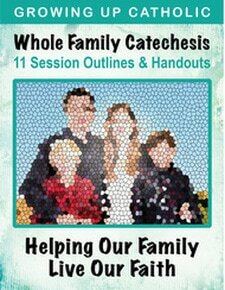 We provide resources for two models: Whole Family Catechesis and Learning Centers. In the following sessions families learn together, parents side-by-side with their children. This model helps parents get involved in the religious education of their children in non-intimidating, creative, and practical ways. Includes 7 creative, interactive activities for each event and more! 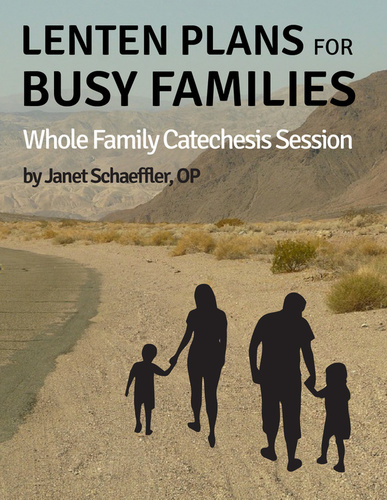 A session to help each family understand Lent and decide how they want to enter the season. 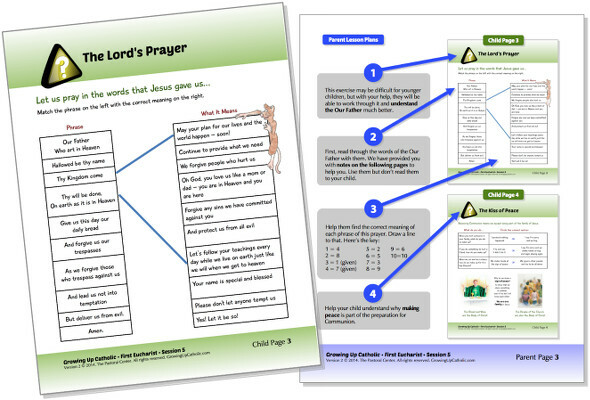 Includes prayer, talking points, and four interactive activities. A session for families to learn about Jesus' family tree, make a parish Jesse tree, and start a Jesse tree for their home. 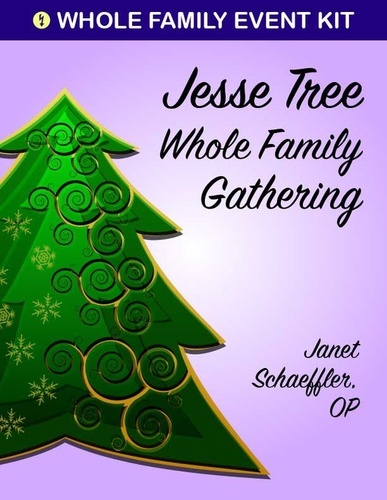 Includes prayer, talking points, handouts and artwork for each Jesse Tree ornament, and take-home handouts. 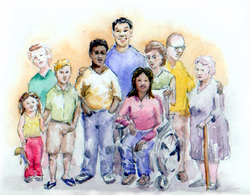 Outlines, prayers, and handouts to help you coach parents to form their own children. Families sit together and the parents work directly with their own children. Dismissal of young children is an option. 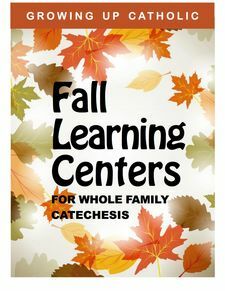 Creative activities in a format that works well for whole family catechesis and/or as learning centers. 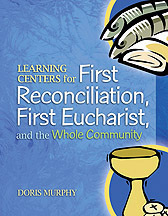 Perfect for parish, school, or home-based programs. Designed to make the leader's job easy, including background, materials lists, reproducible blackline masters, lesson starters, instructions, prayers, and options to extend the activities. 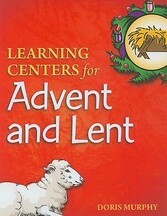 A great resource for organizing Advent or Lent family activity nights. 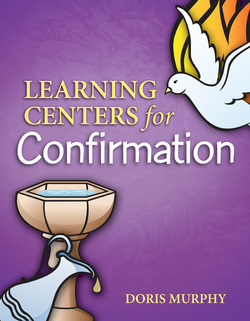 Everything you need for 13 Advent, 12 Lent, and 5 Triduum learning centers. Let Doris Murphy do the creative work for you in this excellent resource! Engaging and creative activities to help families celebrate the saints. 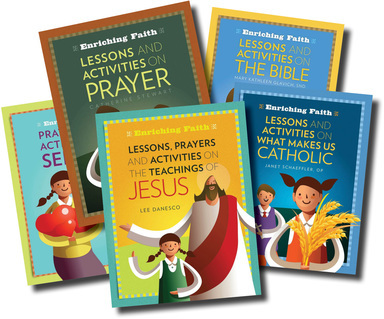 Each hands-on project illustrates Scripture or a Catholic teaching reflecting on a saint. 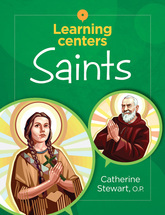 Each center includes a saint story told on two levels: younger (K-2) and older (grades 3-6). Easy-to-follow directions and project templates, brimming with craft ideas, games, maps, writing projects, and more.